The most convenient way to solve the problem of traveling around town especially when you don’t have your own vehicle is to rent a car. However, many people have no idea that when renting a car, they would also have to get a car insurance for it. And most of the time, they are not able to get the right rental insurance that is required for them or for some, they choose more than what they actually need. That is why you should carefully think about car insurance that you are planning to get for your car. First of all, you should keep in mind that there are some states that have a minimum age requirement before they allow you to rent a car. In some instances, companies would also check your driving record before they let you in for a car rental. It is also noteworthy to know that there are actually times when you don’t have to buy insurance for your rented car. If in case you have a personal car insurance plan, you could try to check whether they cover and apply deductibles when you rent a car. But you should also bear in mind that the type of insurance that you have may affect your rented cars that is, if you don’t have a comprehensive or collision car insurance, most probably, they won’t cover for a stolen rental car. You should also know that your credit card can also offer insurance benefits especially in cases of rented car damage or loss. However, this may not cover other expenses, that is, in case your rented car got involved in an accident and it was your fault. So to be sure, you can try calling your credit card company and find out about the insurance policy that they offer. But in case you really need to apply for a car insurance, then there are several options that you can choose from. For one, you can go for a personal accident insurance wherein the insurance covers your medical bills and even all the other passengers that were with you inside the car during an accident. You could also opt for a Loss Damage Waiver. In this type of coverage, you will not be held responsible in case your rental car got stolen or was damaged. But if in case you got involve in an accident especially of you are under the influence of alcohol or due to over speeding, then you will still be held liable for the damages that the car might incur. 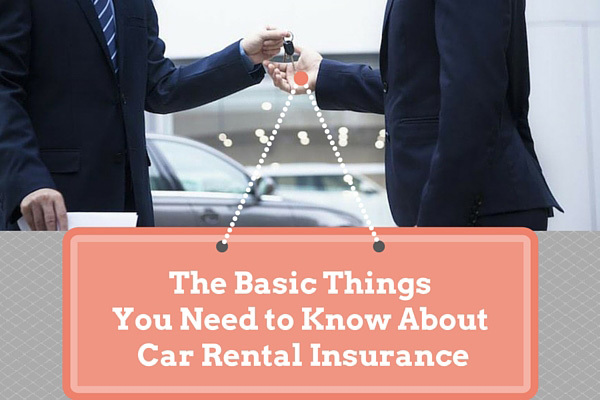 When renting a car, it is best if you understand the importance of why should you have car rental insurance and the processes and coverages you can get in getting one.